What is web site development ? Web Development incorporates all of the elements that combine together to create, host, publish, market and maintain a web site. These elements all work together and depend upon one another. Each element has a significant purpose and has an effect on the project as a whole. For example; you cannot publish a web site that has not been created or designed, your web site cannot be broadcast on the world wide web without a server, and proper marketing and optimization techniques cannot be accomplished without a registered domain name, and so on. Web site development is the process of putting together an HTML program that is published on the world wide web or in house intranet. This would include all of the web sites you have seen on the web and many more you have not. Each web site you visit is in fact a program designed to work with internet and web protocols. We require a deposit on all projects. We provide you with a web site questionnaire and business analysis. This will help you refine your ideas, goals and needs and helps us to understand your vision for your web site. To get your design right the first time, we need a clear vision to begin. We will then send you a Project Proposal stating the working agreement and clarifying what we will do. You will also get the estimated time frame and cost for your project. After that is accomplished, we move into the design phase. We will provide you with a full mockup graphic presentation of what our concept of your design ideas have created. We will then work together on any changes that may need to be made. As those pages are approved, we move into the next phase - Content and HTML. We ask that you provide us with all content so that your website can be complete. E-commerce processes are slightly different. We will also do order testing and provide training and support as needed. How long will the designing process takes place? Once the content is provided to us and the design selections have been made, we can usually have your website up and running within a few days. Actual time is based on the size, scope and nature of your web site. It can fluctuate, especially if there are lots of changes during the design phase. We will work with you to ensure that all of the elements and aspects are handled in the proper order to produce an affordable web site in a realistic time frame. Why should I use your website design services and not another company, and have you got a proven track record? We provide a one to one personal service and are friendly and accommodating. We are always available by phone or email to answer your questions. Our website design prices are very competitive. Are there any hidden charges for your website design or optimization services? No! Once we have all the information about your requirements you will be given a price and that price will stand firm for both the website design and the optimization, if required. The only time a given price would change is if you want another page or any other material added before completion of the website. Can I update my web site? How long will it take to create my site? That will depend on several things: 1) The number of pages to the site; 2) The amount (if any) custom graphics needed; 3) The number or complexity of forms needed. The average site, however, can often be built in as little as two weeks. Will my web pages work with any browser? They should. We test all pages in the primary browsers, and do our best to insure each browser displays the pages correctly. Can you design a logo for me, copy my corporate logo or create a banner ad? Yes, we can design a new logo, copy a corporate logo give your current logo a make-over, or create banner ads. 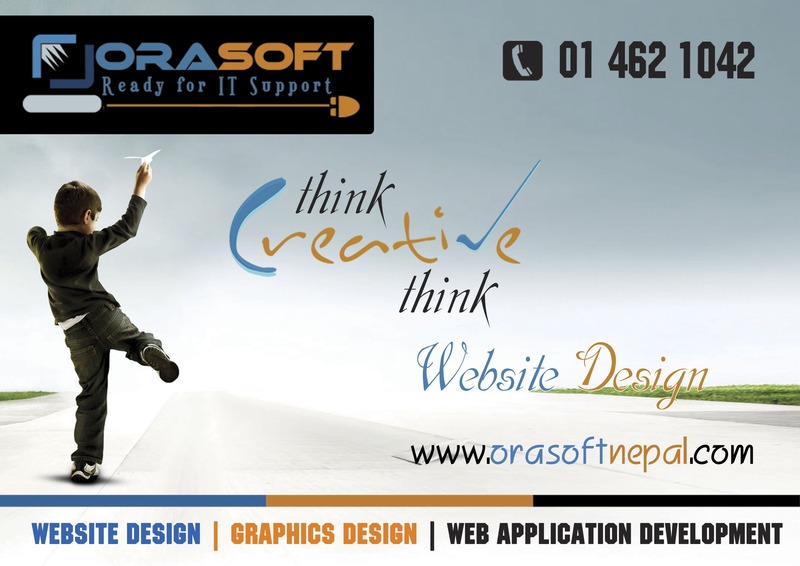 Web design is the actual creation of the website. Options are previewed and choices are made regarding themes, styles, colors, page layout, navigation, graphics, fonts and content. We want to convey a look and feel that will uniquely represent your particular business. Web maintenance is the updating and changing of content on that site. The web design contract is separate from the web maintenance or webmaster services. For simple additions to existing e-mail just e-mail the new account name and we will update at no charge. However, we do suggest a maintenance agreement or training for your staff to accomplish these tasks in house. Certain maintenance tasks will need to be scheduled and performed on a regular basis in order to keep your content fresh, maintain links, submissions to search engines, and to keep it user-friendly. The amount of time spent on maintenance depends on the type of web site (informational or e-commerce) and on your own specific business needs. How many pages is the average site? What domain name should I choose ? Can you register my domain name for me? What is the difference between a "static" and a "dynamic" site? A static site is one that is written in HTML only. Each page is a separate document and there is no database that it draws on. What this means functionally is that the only way to edit the site is to go into each page and edit the HTML - so you'd either have to do it yourself using a webpage editor like FrontPage or pay me to go in and edit the site each time you wanted something changed. A dynamic site is written using more complex code and can do a lot more. For instance, I can make an area where you can log in and change various parts of the site, such as adding information or products. This is because each page is constructed based on the information in a database, and the information in that database can be changed via another interface. Dynamic sites can reduce ongoing maintenance costs if you don't want to change things yourself with a webpage editor or with the HTML. They usually cost more to develop, as they require more complex coding and a content management utility needs to be developed to help you manage your website information. Another benefit of dynamic sites is that they allow you to change only the content of the site and not the design, so you will not be able to accidentally break the visual style of the site. They have other benefits when sites start to get very large, as they make data management much more efficient and your site more expandable. Many clients do a combination, having some dynamic areas such as a product catalog where they have to change information or pictures regularly, and leave other pages such as contact information as static pages. What do I have to do to get my own website? Getting your own website is easier than you might think. You tell us what you want, you provide us with your pictures, texts, and logos, and we do all the work necessary to create your website and to post it on the Internet. It depends on what you're doing with your website, but we definitely recommend you a plan for this. Content is critical for optimization and "fresh" or new content is an important factor for ranking. If you have a small business brochure website you might probably want to update twice a year some pages on your website, you might also have a page to display the latest news on your website and you can add a couple of notes once a month or every two months if you want. For e-commerce or database websites you might update or add content more frequently, those kind of websites are build to have those changes as need it. In any case if you're doing optimization, you might want to talk with our optimization people about the importance of getting new information on your website and what will be the best way to do it without having problems with the code and content to optimize your website. When you recieve a visitor to your site, they will instantly percieve the quality of your services or products. The first impression a customer or potential customer gets depends on the appearance of your website. A visitor will be interested and explore your site if it is appealing and easy to navigate. You are marketing yourself and your business to the world over the Internet and it is important to show your best. I don't think a website will do anything for me, am I right? No, many people overlook the various products, services, or business processes they can include on a website. Any communication or interactions that happen within your business can be made easier and more effecient by the web. Your business will save money and time while appealing to a much greater audience, the world. I have heard that my website can be a place to help my employees do their jobs, is this true? While most businesses view the Internet as an opportunity to expand their sales through traditional e-commerce, few people are aware of the opportunities of increasing efficiency and reducing expenses. Placing business processes, especially those done daily, on the internet is possible for all types of businesses. Do I need to use a website design company that is local to me? No you don't! Everything can be done over the internet or the telephone. We design websites for companies worldwide and rarely meet our clients, some of whom have been clients of ours for years. Our door is always open to anyone who would like to speak to us face to face but we rarely visit anyone unless they live in our locality, this helps to keep our website design prices low! Can I make changes to the website design or text content once it has been started? Yes! The main page will be uploaded for your approval. If you want changes made to the design we can do it then. I would like to use your website design service, what do I do now? Our graphic design services are varied and comprehensive. We provide logo design, brochure design, illustrations, graphics for web sites, direct mail design, marketing, stationery – including business card, letterhead, envelope, mailing label, and presentation folder design, and any other printing your business may require. Give us a call to see what we can do for you. Will I need any special software to run my website? Just a web browser! If you sell things in a shop, it would help to have a digital camera and some sort of image-editing program to resize and improve product photos. Search engine optimization is the process of choosing targeted keyword phrases related to a site, and ensuring that the site places well when those keyword phrases are part of a Web search. Search engine optimization (SEO) is the process of improving the volume or quality of traffic to a web site or a web page (such as a blog) from search engines via "natural" or un-paid ("organic" or "algorithmic") search results as opposed to other forms of search engine marketing (SEM) which may deal with paid inclusion. The theory is that the earlier (or higher) a site appears in the search results list, the more visitors it will receive from the search engine. SEO may target different kinds of search, including image search, local search, video search and industry-specific vertical search engines. This gives a web site web presence.